Chances are you've been wearing your favorite jeans the same way for a while—exactly as you purchased them (i.e., no alterations or DIY adjustments). But as some of the brightest street style stars are showcasing, there's actually a slew of other ways to wear this season's best denim that feel anything but standard. Keep scrolling to check out five ways the street elite is styling denim right now, and go a bit further to shop some of our favorite jeans of the moment. Rather than cuffing your jeans like everyone, try rolling them for that effortlessly relaxed vibe. 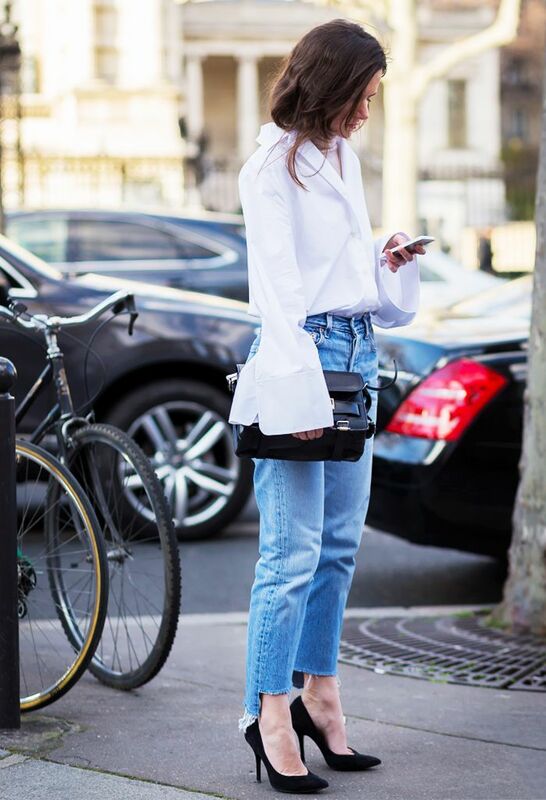 There's nothing more rad than completely fraying the edges of your jeans—especially if you're wearing a cropped style. Will you test out any of these jeans? Let us know in the comments below!